Green mattresses are the trend now, or shall we say – The Final Destination for mattresses. In the USA, eco friendly mattresses are sweeping the nation due to its health benefits and none of the harmful chemicals that can really hurt our organs and bodily functions like our hormones that are said to be disrupted by the formaldehydes and chemicals and pesticides from most commercial mattresses. 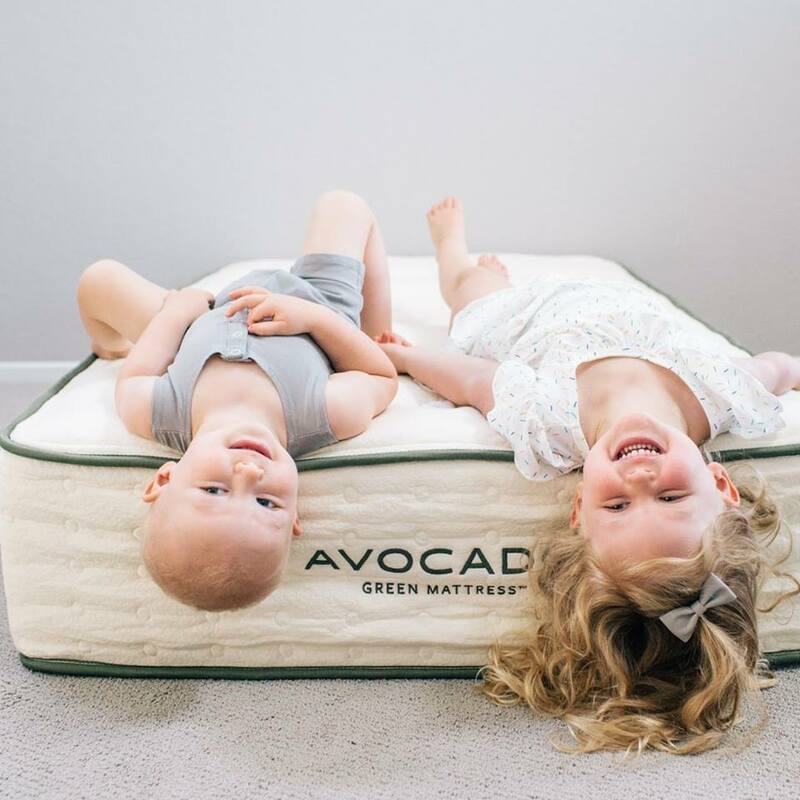 But there is one brand that is quite a strong frontrunner in the organic mattress selling industry – The Avocado Mattress. Not to scare you but toxic chemicals in mattresses, according to statistics, come up in 35 million mattresses sold in the US market every year. Now, do you want to be sleeping on a mattress of this kind, every single night? THINK HEALTH. FLASH INFORMATION: Prolonged exposure to petroleum-based polyurethane foams may affect the nervous and immune system, may cause cancer, neurological issues, autoimmune health ailments, asthma, allergies, fertility issues, miscarriage and child behavior disorders. So here I am proudly dishing out this Avocado Green Mattress Review to help consumers out know more about this healthy brand of a mattress! But what if, FINALLY – there is a mattress honestly made with NON-TOXIC natural and organic memory foam mattress that are not only using BIODEGRADABLE but also recyclable materials. 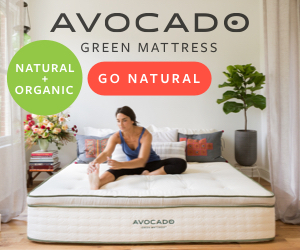 Enter AVOCADO Green Mattresses – said to be handmade in the USA, using natural, eco friendly mattress and organic materials – more durable, supportive and luxurious. 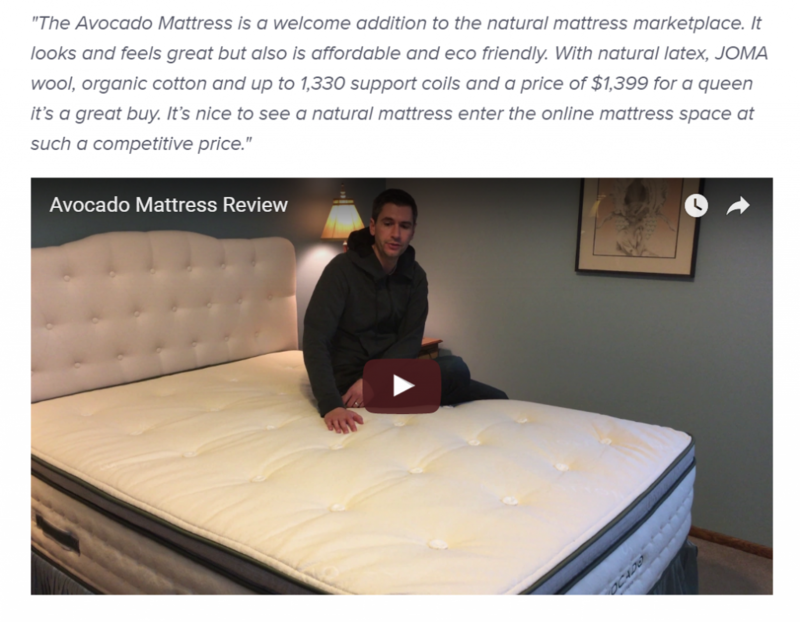 The purpose of this blog post is to weave through the small details of Avocado Mattress, with a purpose of giving a Balanced and Transparent Review – for the benefit of consumers like myself. As I have health issues myself, I think I am in a good place to bring forth to the surface the claims, history and story behind this NEW Eco-Friendly Mattress which is, in my opinion, the closest to nature – so far. This mattress could be the answer to polyurethane foam mattress health risks concerns! Not only that – but I must say with all of my online research, Avocado mattress is by far, the Best Organic Foam Mattress. Why? With a multitude of reasons such as using the ever top and premium New Zealand Wool, to name a few. Plus the fact that it is certified by these three governing bodies with very stringent criteria compared to Certipur-US: eco-INSTITUT® , STANDARD 100 by OEKO-TEX® and Global Organic Textile Standard (GOTS). I must admit that after reading every page of its website, I am a now a huge fan of this Avocado Mattress company, not just for the usual commercial reasons, but also I can really see for myself the UNWAVERING ETHOS of its production practices – the materials, the careful research, the sustainable resources concept it is using – and on top of that? It has not forgotten its workers, the ones who do the real work behind the scenes – creating a product that gives jobs so that people can pay for their living needs – REAL VALUE recognition to real workers – at the heart of what they do. The people behind the product is what makes it really stand out in the market today – these people actually care as they are producing affordable organic mattress – it shows in what they profess in their About Page. The team is very solid, one person is in-charge of overseeing the whole production, another person is responsible for making sure the company is always working alongside responsible practices and also taking part in social responsibility as a business. In fact, on their page, you can see that at the heart of its operations, are the husband and wife team – Jeff and Alex, each has very strong background related to the business operations. 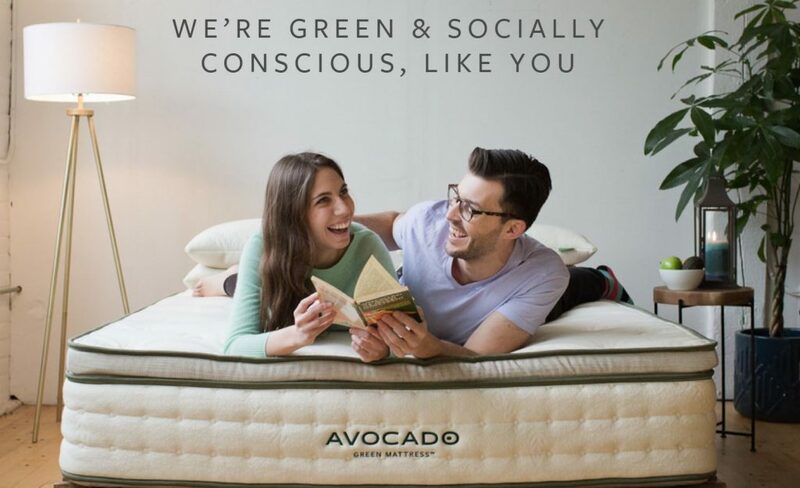 Avocado Green Mattress as a well-thought out USA product highly aligned on the advocacy for sustainability and sourcing ethical resources, operating on a company culture that is all about green partnerships, environmental campaigns – green and healthy living. This company also producing mattresses whilst giving back to charitable causes like the International Justice Mission – an organization that protects the poor from violence and oppression in the third world countries. I must say that this company is one of the best in the market for organic latex mattress manufacturers because it has got a lot of certifications – over 8 in total! I have never come across a brand so certified as this so please be confident that this brand will really make your purchase worth the money! 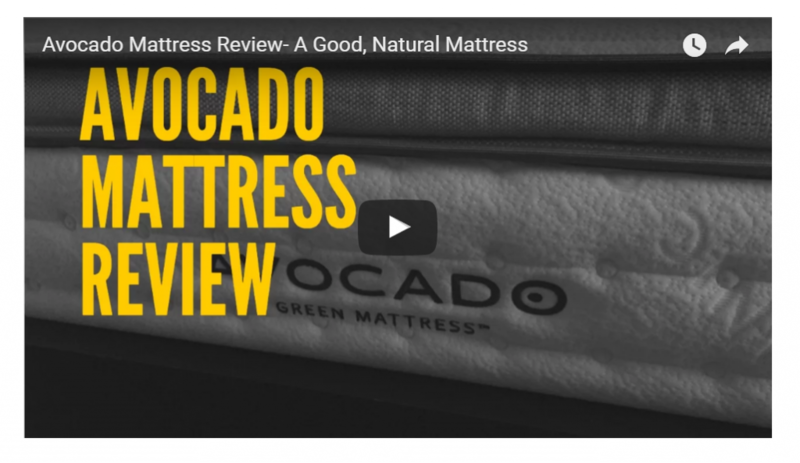 Let me examine the materials the Avacado Mattress company is using in all its production or manufacturing, after all – we don’t want another commercially marketed product that is full of high claims, but unreliable, worse – unethical. Before I start, let me state that it is quite disturbing that continuing to use the usual commercial mattresses may cause organ toxicity, hair loss and other neurological health issues. But having come across Avocado Green Mattress brand, their use of 100% natural hydrated silica and 100% natural New Zealand Wool — there is hope, after all, to sleep with peace, to sleep with no worries about health risks. 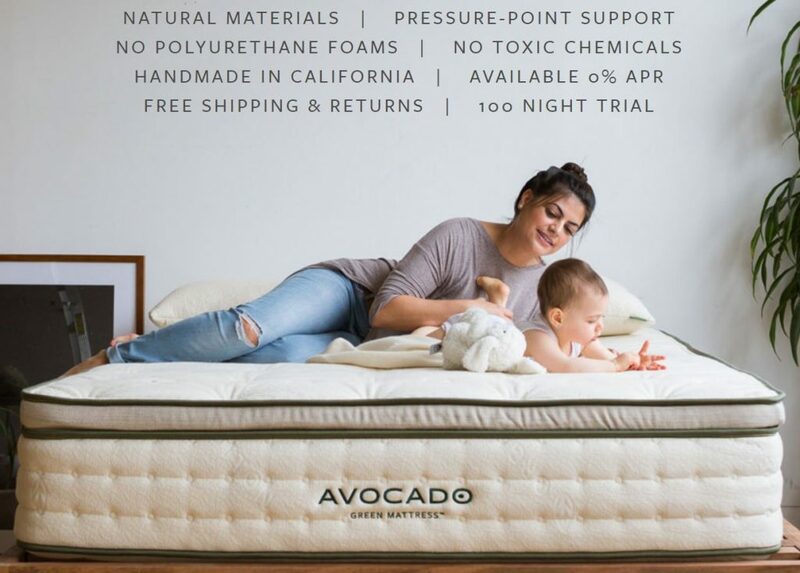 Avocado Mattress uses 100% Natural Dunlop Latex, what does this mean? This means its organic natural latex mattress is ethically sourced from tree-tapped and sustainable sources from Asia, no trees are harmed in the process. For your peace of mind, they are certified by ECO-INSTITUT, as naturally hypoallergenic and antimicrobial. Plus consumers will be happy to know, this company does NOT use blended or synthetic latex and there seams are not manufactured with chemical adhesives. Naturally absorbs or draws away moisture, no more using commercial and chemically loaded fire barriers, instead this ALL NATURAL WOOL does the job of keeping your mattress smelling fresh. It is breathable – both warm and cool. It is non-allergenic – works with your body’s health, not against it. No harmful chemicals or synthetic stuff added. This mattress only uses recycled steel coils aimed at regulating airflow, better support for spinal alignment for those with back pain and pressure point issues. Avocado Green Mattress does not use chemical fire retardants at all – no harmful off-gassing risks for your precious health, instead it makes use of hydrated silica as a NATURAL fire barrier for the mattress. 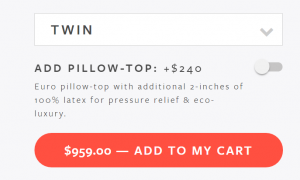 Upgrading to the optional Pillow-Top mattress (75% of the users do so, as per the maker) – ideal for back sleepers, athletes, and those in need of pressure relief or a luxurious comfort. With its ergonomic support coils, it provides optimal and individualized ergonomic joint support plus allowing your body shape to better contour to the mattress hence distributing the weight evenly. They offer trade discounts for registered and verified trade and contract professionals. They offer discounts for active and reservist US Army, Navy, Air Force, Marines, and Coast Guard personnel. They are a member of the Green Hotels Association and offers generous quantity and trade discounts. Returned mattresses are not restocked or resold, instead it is donated to charities or recycled responsibly. You can buy direct to their online store but they do have a showroom in New York. Are you looking to save some money? They are doing a great organic latex mattress sale now so it’s a great time to take advantage and be able to get a mattress that’s organic but with great savings, just click the photo below to grab the chance to buy this mattress! My TOP CHOICE for a mattress simply because of its very earth-worthy and earth-friendly raw materials and very responsible and ethical manufacturing practices, plus the fact that it is by far, the safest mattress to come close to the human body – ditching most harmful chemicals that are claimed to cause various neurological symptoms and other health ailments that can be correlated to harmful chemicals that is so widespread to most brands in the mattress industry. Above all, no more worrying about polyurethane foam mattress health risks! HONEST and transparent brand – willingly showing the LAW LABEL which declares the materials in the interior filling of new mattresses. By far, and without a doubt – The Best Organic Mattress in the USA! Plus don’t forget that they offer FREE shipping and returns, 100 night trial, even offer to take your old mattress as part of the additional (optional) $99 fee for in-house delivery and setup of the mattress, and the unbeatable 10-year warranty, as well as helping those who are financially in need via the Affirm Financing (subject to credit approval).